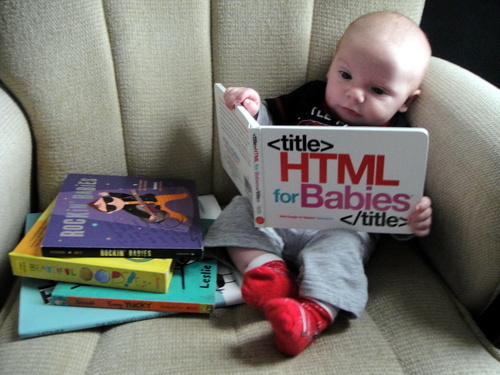 Is there anything funnier than taking an adult idea like HTML and giving it to a baby in a format called “HTML For Babies”? Yes. As a matter of fact, everything is funnier and more interesting than that.